The most eminent name in Pakistan’c clothing line “Gul Ahmed” brought new appealing and eye-popping festive eid Collection 2017. This collection has been thrown in all its retail stores and placed online on Friday, 28th July. 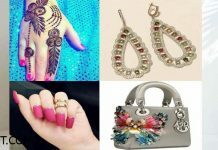 You can also buy this stunning assortment to make your festive more memorable and blessed with colors. This contains incredible variety adorned with fabulous digital prints. Some of these attires also contains thread work and fine embroidery on sleeves, neckline and hemline. The brand aims to provide its customers a fine quality fabric and reach to additional milestones when its comes to designing. Eid-ul-Azha is again approaching, the climate will not too hot as it was in eid-ul-fitr. So keeping in mind, they has released Gul Ahmed Festive Eid Collection for Women 2017-18 patterned with latest designs and cuts. When it comes to styling and fashioning sense, this name came in mind. 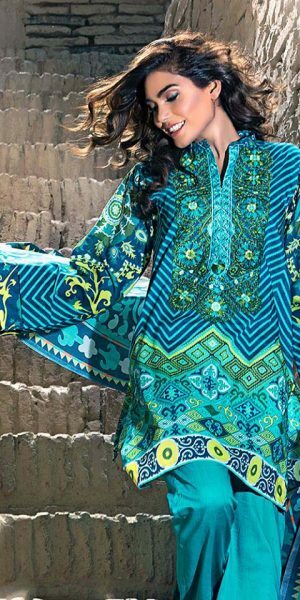 The brand has fabricating the fashion industry of Pakistani since 80 years, and in years of excellence they not only provide women cloths but also men’s wear, pret, luxury chiffon, polo shirts and many others. 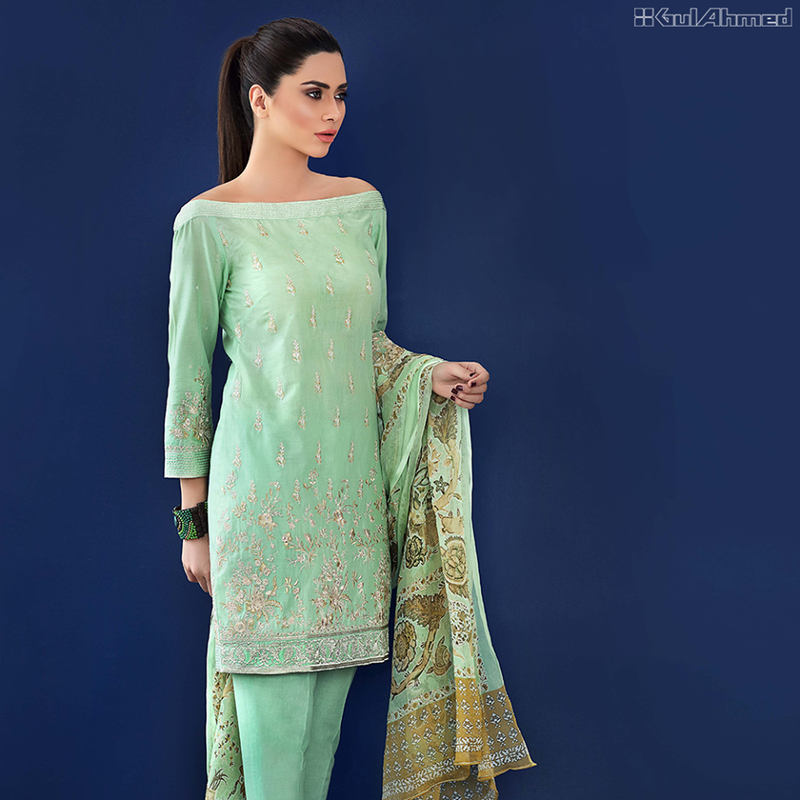 This is the time to boost your inspirations by grabbing Gul Ahmed Latest Cotton, Silk Collection 2017-18 Eid Catalog in this scorching season before the stock runs over. It is a name that is being serving fashion industry since various decades. The collection always contains best amalgamation of colors, thread work and embroidered patterns. They not only provide such cloths that only suits young and stylish divas but also launches separate assortments for above 30’s. As they have launched Gul Ahmed Mothers Collection 2017. Eid is the most awaited event in Muslims community, they wait for it a whole year. There are many decorations and preparations held before the arrival of this holy event. So after theses whole decorations, isn’t it necessary to decorate yourself also? Off-course it is necessary. So to enjoy all the happiness and adornments of this event, grab this funky collection which is blend of bold and pastel shades. If you want more stylish look, then stitch your outfit in same design as showing in below images. 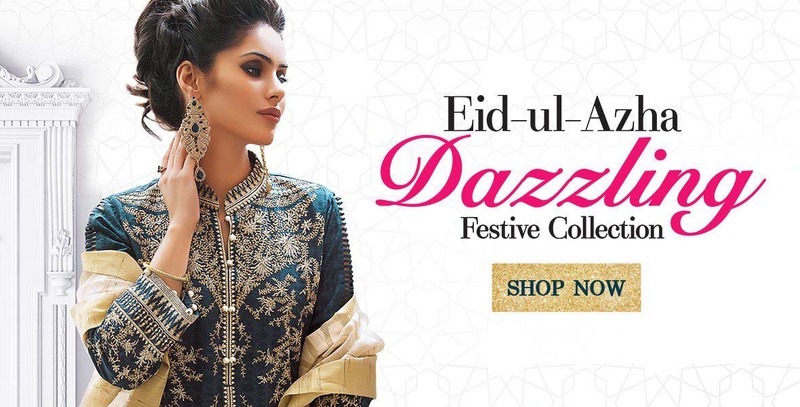 Lets have a look at this glamorous assortment and sparkle your Eid-ul-Azha . 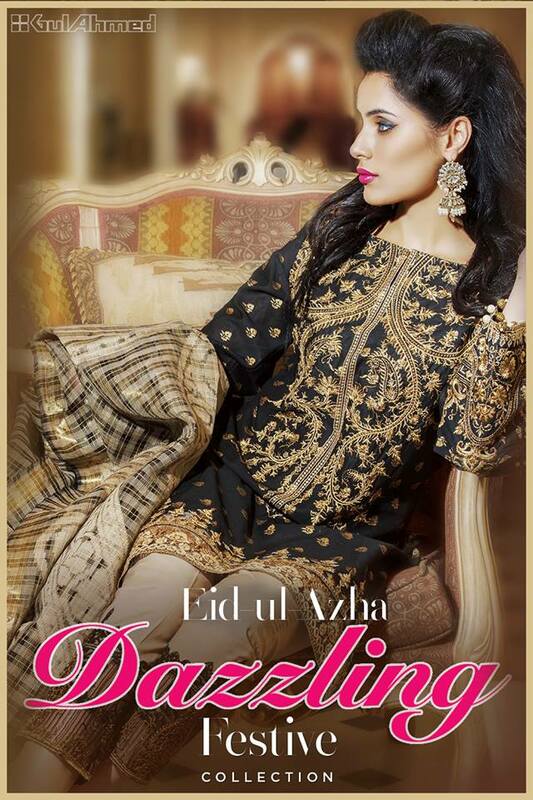 Gul Ahmed this festive collection consist of variety of dresses bundled with fabulous digital prints and fine embroidery. All images of this collection shown here.